Want to try your hand at sewing? How about taking on a project that, besides honing your sewing skills, will help you be better prepared when it’s finished? I’ve rounded up 23 great sewing projects from around the web that are perfect for preppers to get started sewing on. Almost every one of these would make a great beginner sewing project and most have very detailed instructions. Even kids could learn to sew with this collection of sewing projects. So grab your essential sewing supplies and let’s get started! Need a sewing machine? Here’s a better-than-beginner model for under $150! Want one that will run without power? Check out the Janome 712T modern treadle machine. Perfect for your car kit or other emergency kit. One of these would even be great in a diaper bag with baby necessities! Lots of measuring and stitching, but it’s all straight lines. This segmented type is my favorite because the rice doesn’t all bunch up in one place. Microwave it and use it as a heating pad to soothe sore muscles. Add some dried herbs or essential oils for some aromatherapy. You’ll need some hardware and a comfy neck strap. This tutorial uses parts from a sling they received from the doctor to make a better fitting sling, and doesn’t go in to a lot of detail on how they put it together, but those of you with some sewing experience could figure this out. These little roll or fold up portable sewing kits called “housewife” or “hussif” have been around for centuries, and were common among 18th and 19th century soldiers including those who fought during the American Civil War. 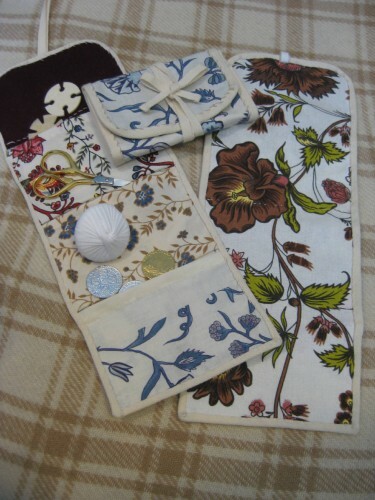 They varied slightly from one example to the next, but all featured pockets to hold important sewing supplies. A pattern is available for purchase here. And here’s a video (about 45 minutes long) that shows the whole process of making one. Personalize it for the supplies you plan to carry. 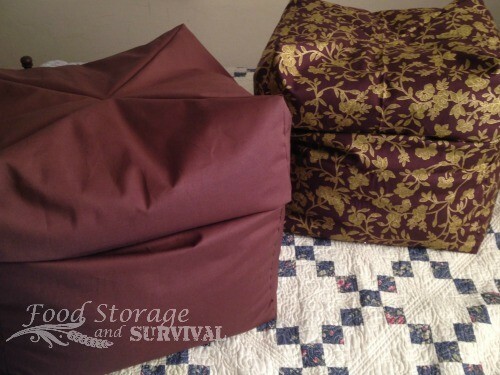 Perfect for compactly including sewing supplies in your emergency kits! Bags can be used to carry supplies from where you are to where you are going. I have some in my car emergency kit to be able to transport some supplies in the event I decide I need to leave my car and hike out. You can also use bags and totes for plenty of non-emergency uses. Wonderbox cookers are used to insulate food that has been heated and keep it hot and cooking without the need for more fuel. Simple to make, I would suggest stitching over each seam twice for reinforcement. Read these Wonderbox FAQ’s for more information on building and filling one. Make them to match your kitchen for a nice look. 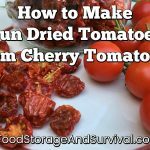 Super handy for camping and outdoor cooking. If you burn yourself, you’ll be needing some first aid. Great for those cast iron handles that get HOT. 9. Apron. Difficulty: Beginner+ and up depending on style. Nobody likes their best shirt splattered with bacon grease. Aprons look great and save your clothes! These would be great for organizing books in a kids room like the post shows OR cook books, preparedness books, or patterns. Organization=more room for preparedness gear. Not just for decorating. Use them to hide things (like a stack of food storage buckets) in plain sight. There are a couple of ways to do this. This way is super simple and perfect for a true beginner sewer. Plus you learn a bit about felting wool in the process! The second pattern will fit a little more comfortably, but does require slightly more piecing. Still a beginner project, just a little more advanced beginner. Made from socks, this draft stopper takes just a few hand stitches to put together. You could even probably do it without sewing at all if you had some fabric glue. So simple. These are like the rice bag at #2 on this list, only smaller. Great for keeping hands warm for short periods of time like when you’re heading out to the bus stop. Even “easy” quilts are a little more challenging than a smaller project, but there’s nothing like a homemade quilt. Here’s the basics on making a simple quilt, or check out this selection of easy quilt patterns. Quit buying paper napkins or have something to wipe your face with in the event of an emergency when the stores aren’t selling anything any more. Simple and really classy. So simple to reduce your paper product waste with these adorable reusable paper towels. Even better, she used recycled fabric from an old towel and night gown to make them so they were practically FREE! Check out this video showing how to make them without a sewing machine (easily adaptable to use a machine as well). This is one you’ll really want to consider before an emergency. An emergency is bad enough, but for the average woman, the chances you’ll be needing sanitary pads when it happens is 1 in 4. Get some made now and have them for a backup plan or put them to use right away! Want to ditch more disposables? Check out these ideas! Fix a shirt, coat, or pair of pants. Buttons used to be far more commonplace, but there are still plenty of opportunities to sew a button on something. Use the same methods on blue jean knees and crotches, shirt elbows, or any where you get a tear. You can put the patch on the outside or the inside of the fabric being patched depending on how you want your fixed item to look. Got a shirt that’s in decent shape except the collar is frayed? It’s a pretty simple fix and makes the shirt look almost new again! Lots of different styles and patterns plus help finding the supplies you’ll need at DiaperSewing.com. Chances of a baby needing diapers in an emergency? 100%. Make your own custom baby sling and free up your arms to carry supplies (or groceries, or push a stroller with the other kid in it, you get the idea). I made this very sling for my third child and it worked great. 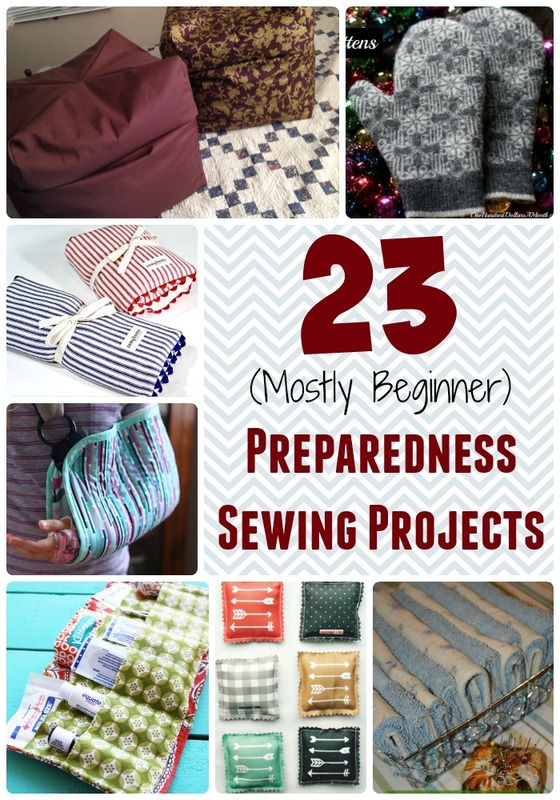 What projects would you suggest for someone wanting to get started sewing for preparedness? Let me know in the comments! Great info! You can crochet/knit “Ace” bandages – I know that isn’t sewing! Can also sew bowl covers or reusable sandwich baggies etc. Thank you for sharing some great practical projects my kids can do! I do want to add a word of caution for anyone clicking on the links for the baby sling. The information and advice regarding how to use the sling and wear a baby is quite outdated and unsafe. Using the pouch as she describes puts the baby at risk for positional asphyxiation as a baby’s airway is quite fragile and the cradle carry position described here – especially in an ill fitting carrier – can easily put the baby into a position where their chin goes to their chest, constricting their airway. They can also end up turned into the parent’s body with fabric covering their heads and restricting their breathing/oxygen. * with fabric supporting from the hollow of one knee to the other, supporting a natural spread-squat position (knees higher than bum, spread to a natural degree). * with no fabric covering their face so you can easily monitor them and they can see you. Great ideas everyone should know these basic skills. Thank God I had to learn this stuff in Jr high school in the late ’70’s. But like many skills I’ve learned I haven’t used them for some time, and I am considerably rusty. I’ve had some ideas for sewing my own shooting mats, sleeping bags, and camping mattresses. Shooting mats that double as sleeping bags or ground blinds too. Just some ideas I’ve been thinking of. Perhaps these could be lucrative ideas to market to some company that could produce them in mass quantities?